Download "人 々ばかりでなく 被 曝 時 年 齢 10~19 歳 のグループにおいても 減 少 しつつあるということである 20 歳 以"
11 tion-protection Dosimetry, 41: , ) R. L. Carter, R. Sposto and D. L. Preston: Estimating the temporal distribution of exposure - related cancers. 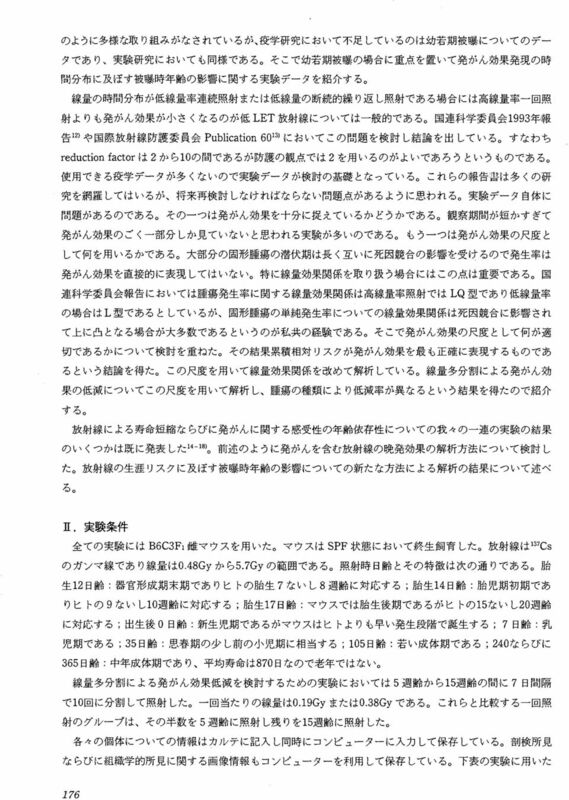 Radiation on Effects Research Foundation Report CR 4-92, ) M. P. Little, M. M. Hawkins, M. W. Charles and N. G. Hildreth: Fitting the Armitage Doll model to radiation-exposed cohorts and implications for population cancer risks. Radiat. Res., 132: , ) G. A. Sacher and D. Grahn: Survival of mice under duration-of-life exposure to gamma-rays. I. 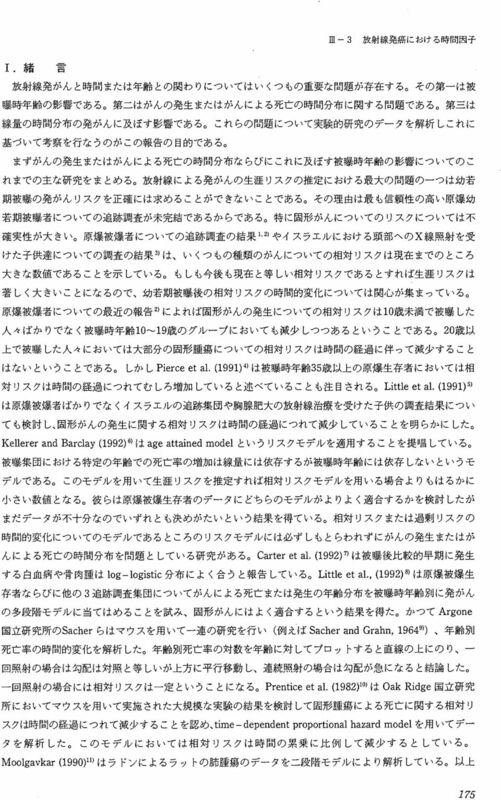 The dosage-survival relation and the lethality function./. Natl Cancer Inst. 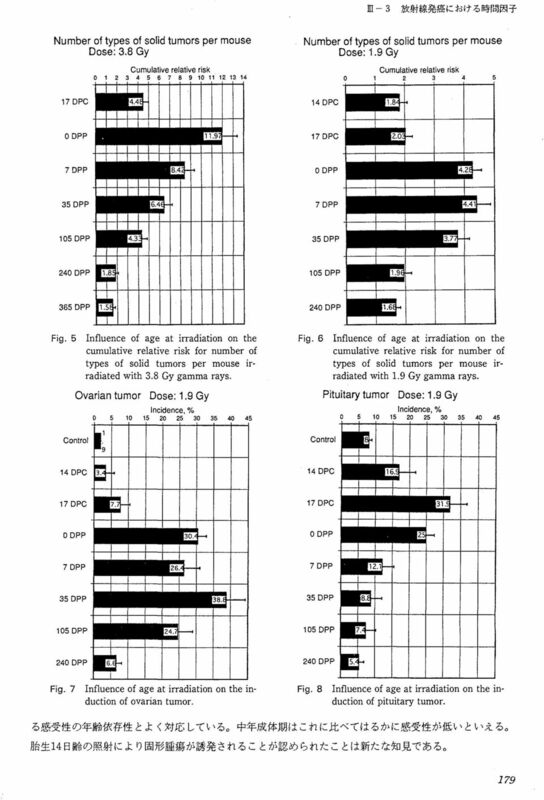 32: , ) R. L. Prentice, A. V. Peterson and P. Marek: Dose - mortality relationships in RFM mice following I37 Cs gamma-ray irradiation. Radiat. Res., 90: 57-76, ) S. Moolgavkar, F. T. Cross, G. Luebeck and G. E. Dagle: A two-mutation model for radon-induced lung tumors in rats. Radiat. Res., 121: 28-37, ) United Nations Scientific committee on the Effects of Atomic Radiation: Sources and Effects of Ionizing Radiation. 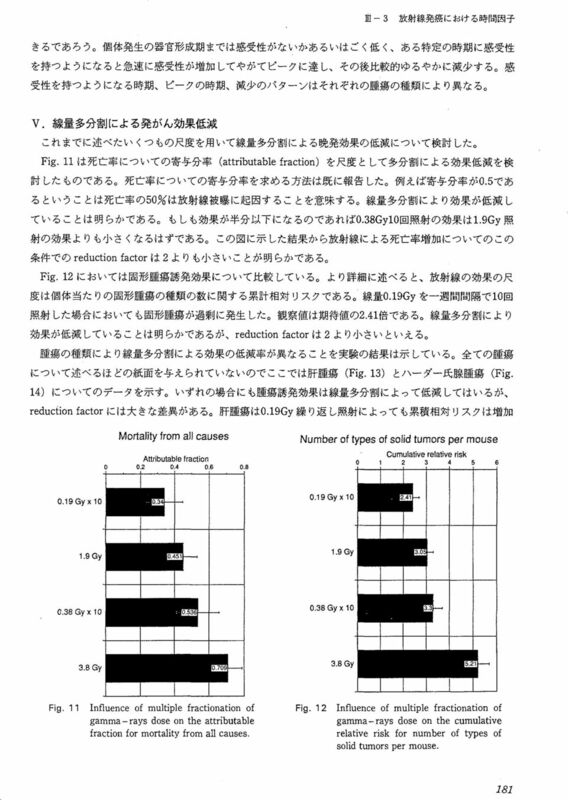 Annex F. Influence of dose and dose rate on stochastic effects of radiation. United Nations, New York, ) International Commission on Radiological Protection: The Recomendation of the International Commission on Radiological Protection. Publication 60. Ann. ICRP, Pergamon Dress, ) S. Sasaki and T. Kasuga: Life-shortening and carcinogenesis in mice irradiated neonatally with X rays. Radiat. 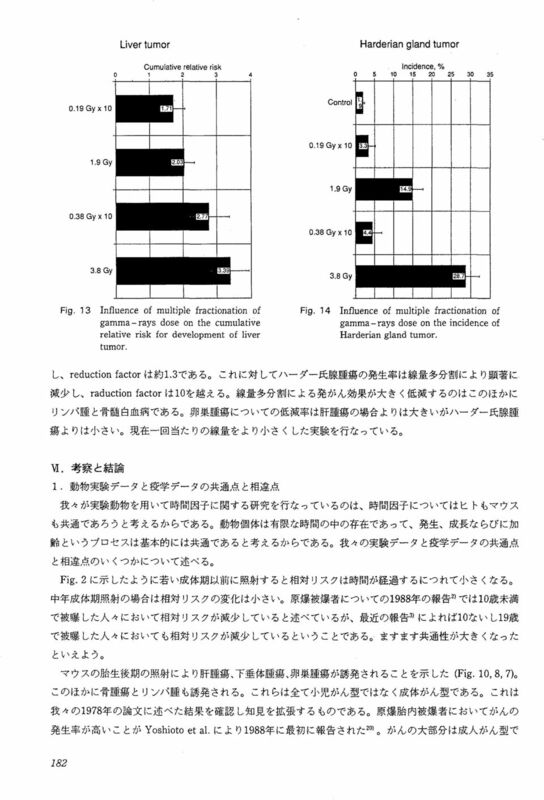 Res., 88: , ) S. Sasaki and T. Kasuga: Life shortening and carcinogenesis in mice irradiated at perinatal period with gamma rays. 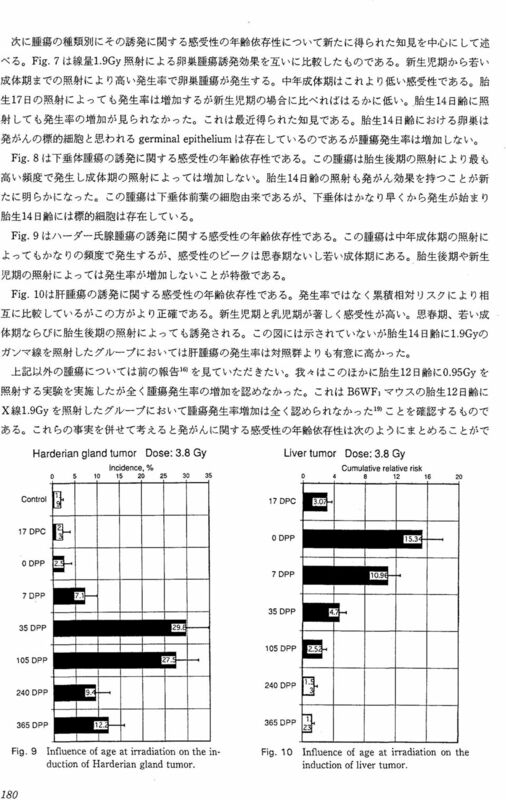 In "Life-Span Radiation Effects Studies in Animals", Ed. R. C. Thompson and j. 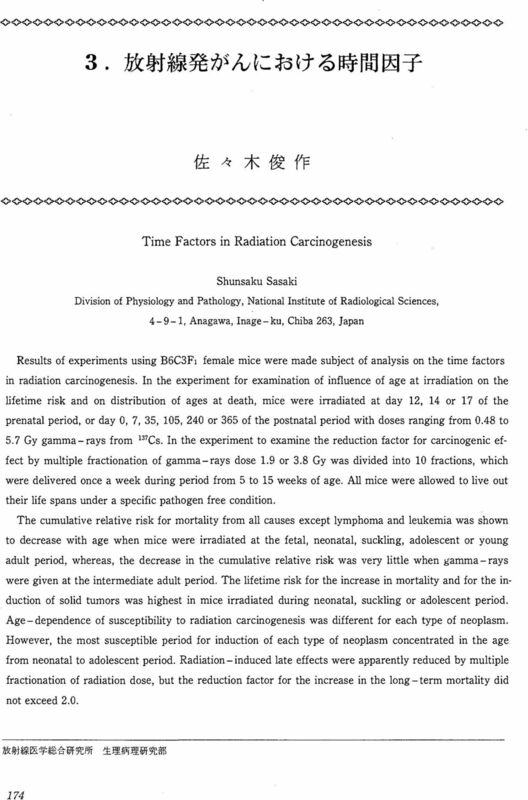 A. Mahaffey, pp , National Technical Information, ) S. Sasaki: Influence of the age of mice at exposure to radiation on life - shortening and carcinogenesis. /. Radiat. Res., 32, Suppl. 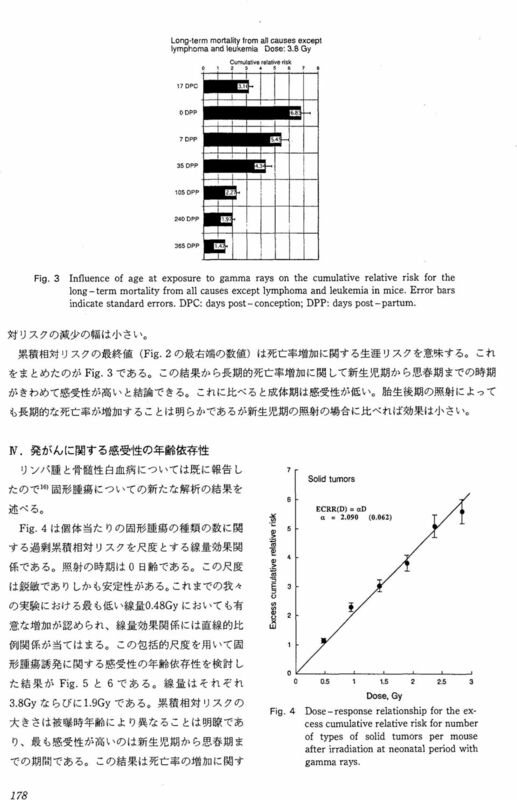 2: 73-85, ) S. Sasaki: Age - dependence of susceptibility to carcinogenesis by ionizing radiation in mice. Radiat Environ, Biophys. 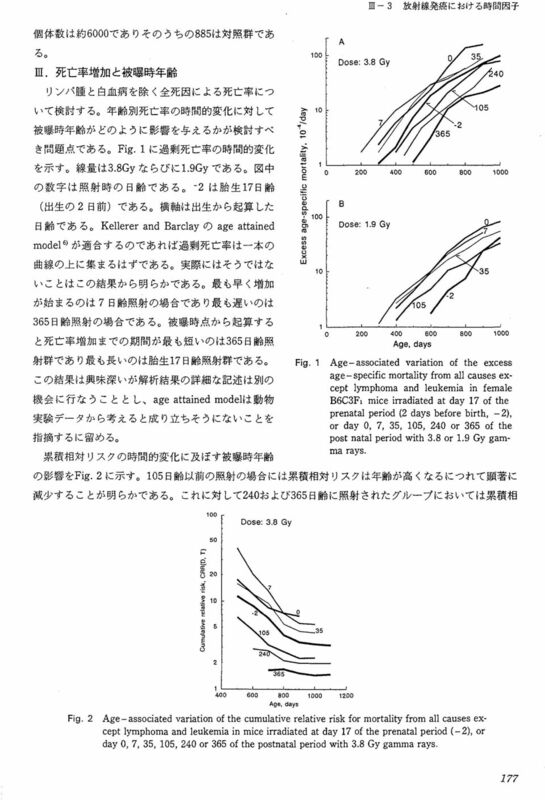 30: , ) S. Sasaki: Influence of age at radiation exposure on attributable risk in mice. 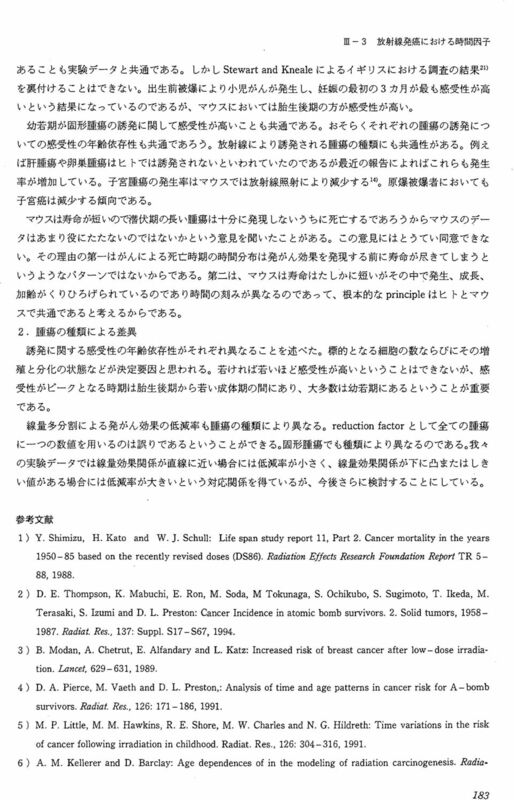 Proceedings of International Congress on Radiation Efects and Protection, pp , Japan Atomic Energy Research Institute, ) S. Sasaki; T. Kasuga, F. Sato and N. Kawashima:, Late effects of fetal mice X-irradiated at middle or late intrauterine stage. Jpn. J. Cancer Res. 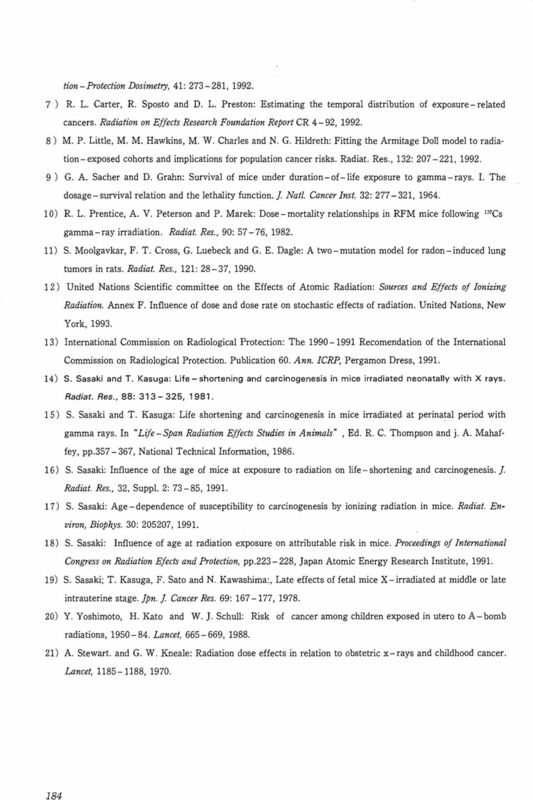 69: , ) Y. Yoshimoto, H. Kato and W. J. Schull: Risk of cancer among children exposed in utero to A-bomb radiations, Lancet, , ) A. Stewart, and G. W. Kneale: Radiation dose effects in relation to obstetric x-rays and childhood cancer. Lancet, , 1970.